This is actually the eighth time that I am on the cusp of a book being published. This count includes a couple of self-published books that were picked up by Three Clover Press and repackaged with new covers, titles, and an extensive round of edits. A face-lift and open heart surgery never felt so good! But today I am as excited as I was the first time, and the second, and the third… You get the point. Sometime in the next two weeks, Ashbar, sequel to The First Decree, and the 2013 Eric Hoffer Book Award YA category, At The Walls Of Galbrieth, will be officially released by Tourmaline Books. I wonder how it is for the big fish? When those A-list authors have their 20th, 30th, or 40th novel released, are they just as excited? Yes, I’m thinking of you, Terry Brooks, George R.R. Martin, J.K Rowling, Terry Goodkind. Are these authors and others coolly not checking their email every hour for the official notice from their publishers? Do they accidentally type their name into the Amazon.com search engine and browse down the list of books on their author’s name? I am, of course, way to cool to be checking every hour, myself. In order to be productive at work and give my sons the attention they deserve, I have set reminders for four times a day – I’m awake for eighteen, I figure that’s too compulsive! I have not yet held my review copy – it is on the way, I am promised, though this might have been a desperate ploy to shut me up (can’t blame them) – I remember each time it happened with almost the clarity of holding my newborn sons. The books, I have to admit, were not as slimy or noisy. I am currently 50,000 words into writing a fantasy novel for adults that I hope will be a series alongside the Wycaan Masters. I believe authors who keep two series running (Terry Brooks is my role model), then both series’ remain fresh. But I have promised to start the editing process for Book 4 (actually started with my writer’s group over the summer) before sending it off to Tourmaline’s wizards) so that they receive it by the end of 2013. 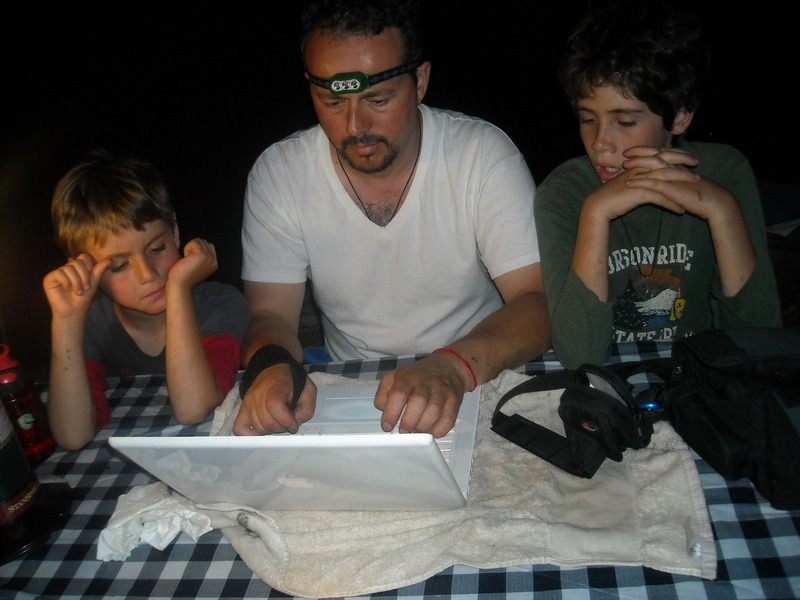 Where it all began: Writing Book 1 with sons in an ancient Redwood forest. The process is ongoing. Each magical, landmark moment: finishing writing the last page, sending the book to the editor, seeing the cover for the first time, receiving the review copy… these are all just stages in a journey to build not only a world, but a dynasty – a multi-generational world with a history of its own. But that never stops these special moments of holding a real copy of your book for the first time being magical – and it never should. Alon Shalev is the author of the 2013 Eric Hoffer YA Book Award winner, At The Walls of Galbrieth, Wycaan Master Book 1 and The First Decree, both released by Tourmaline Books. Ashbar – Book 3 – is due for release in October 2013. 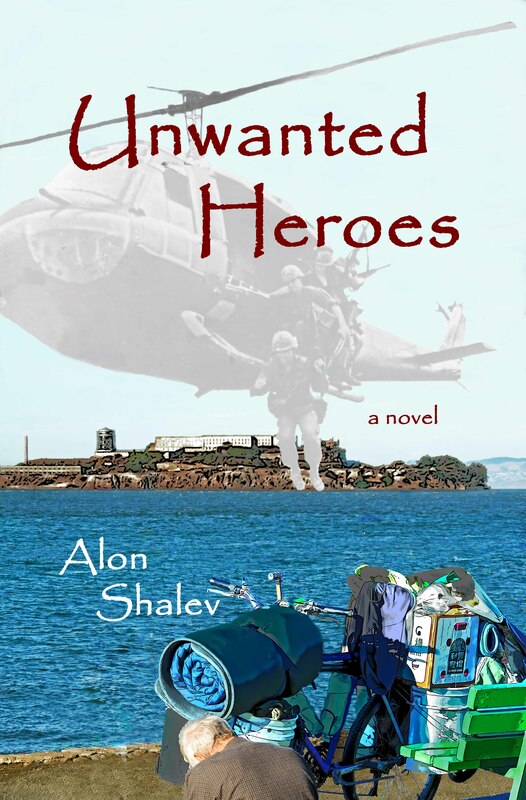 Shalev is also the author of three social justice-themed novels including Unwanted Heroes. He swears there is a connection. More at http://www.alonshalev.com and on Twitter (@elfwriter). 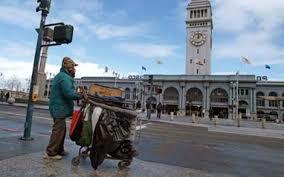 Coming from 20 years on a kibbutz (an intentional community), it was a shock to see so many homeless people on the streets of San Francisco and Berkeley. There are over 14,000 people without a home in the City and I think this is a black mark on an, otherwise, amazing urban area. Compounding this is the alarming amount of war veterans who swell these ranks. The idea that a man or woman was willing to sacrifice their life for their country and to then be thrown onto the street and forgotten makes my blood boil. I served in the Israeli army, a national service that most Israeli youngsters must do. 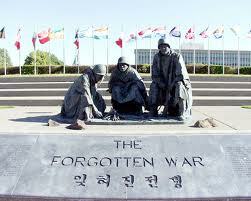 Afterwards, men serve for up to a month a year as the country and army are so small. If a soldier is wounded, inside or out, they receive the best medical attention possible, the best counseling, and whatever else is needed. It isn’t perfect, and there are a few who slip between the cracks, but there is a national consensus because everyone serves. It was an incident with a war veteran outside the San Francisco Zoo that served as the kernel for Unwanted Heroes, a fictional account of a war veteran still battling on his own personal front in San Francisco. The real incident involved a proud war vet selling small American flags for $1 each. Seeing his two rows of medals, I gave my sons $5 but told them to only take one each and leave him the change. The man began yelling at them and then at me. I had offended him. He did not want charity: he was doing a business. I felt terrible that I had insulted him. I took the change back from him apologizing and took my sons into the zoo where we bought ice cream and I explained to them, as best I could, what had happened. I am never comfortable giving money to homeless people on street corners for all the stereotypes that prevail: will they spend it on drugs, alcohol, fast food etc. I know it is wrong to feel this way, but I do. 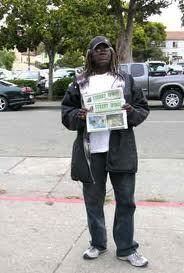 But I never hesitate to buy a copy of Street Spirit, a newspaper sold for a dollar by homeless people. “Street Spirit is a publication of the American Friends Service Committee (AFSC) that reports extensively on homelessness, poverty, economic inequality, welfare issues, human rights issues and the struggle for social justice. 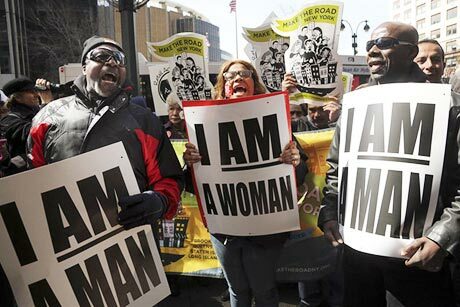 For the past 17 years, Street Spirit has been dedicated to empowering poor and homeless people and giving a voice to the voiceless, at a time when the voices of the poor are virtually locked out of the mainstream media. In addition to offering homeless people a chance to earn money, it also offers them a voice as the homeless themselves write many of the articles. One man who sold us a newspaper told us proudly that he wrote a poem that was in this issue. My youngest (then 9 years old) opened the paper to where the poem is and asked him to autograph it. You could see the pride in both the poet and my son, who then told him that I was also an author and we shook hands – two writers. So next time you pass a homeless person selling Street Spirit, see if you can spare a dollar bill. It will help buy a man some food and some dignity. In my series of individual actions that will have a profound impact on our society, I have covered energy, universal health care, and gun control. Whether you agree or not, these are all legitimate topics. The next might not be, but I want to advocate that it is. We are a society that believes in the need to defend itself, that we must be the biggest, best armed, and one of the better trained. We define this concept of defense in our own way. One aspect is that we keep the field of conflict far away from mainland America. Whether you agree or not, it defines the 1st and 2nd World Wars, Vietnam, Korea, Iraq and Afghanistan. We fought our enemies far away from here. As a Brit whose father fought the Germans, and whose mother carried the scars of the Blitz, I can understand that. I can live with this principle and am willing to pay my share of the bill for financing our defense. But this social contract, which is held with those who serves, demands that we take care of them when they return from risking their lives for our freedom. I have written a number of times about this embarrassing and inexplicable injustice, both in this blog and in my novel, Unwanted Heroes. In Israel, a country that lives under a far greater (proportionally) financial commitment to pay for its military, everyone serves in the army. 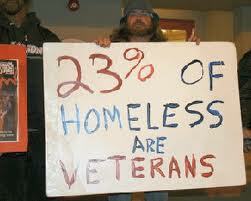 This fact is probably why it is a given that a soldier, wounded inside or out, will receive whatever help s/he needs. It is, quite frankly, not an issue, and this is probably why I was so shocked when I came to live in the US. A society that cannot take care of those citizens, who have most earned that care, cannot be expected to build a moral and principled society. If we give our young people the message that it becomes everyone for themselves, then tat is how they will take it. The consequences are fewer taxes gathered, more crime, and a general decay in respect and self-respect. Our soldiers must be held up as the first line of defense for a society that is under attack…from itself. I don’t believe, in this technological age, that there is any rational explanation why a veteran must wait up to two years and more for their claims to be dealt with. It is the result of a selfish society that doesn’t care, and has become numb to the needs of anyone outside of their social circle. We are failing our soldiers and failing the younger generation who are watching, learning and judging. We reap what we sow and we need to become responsible farmers before it is too late. The recent mass shooting at the naval shipyard in Washington DC is extremely tragic and the frequency of this type of murder is increasing. Also, the use of long guns appears to be the weapon of choice for these deranged killers. 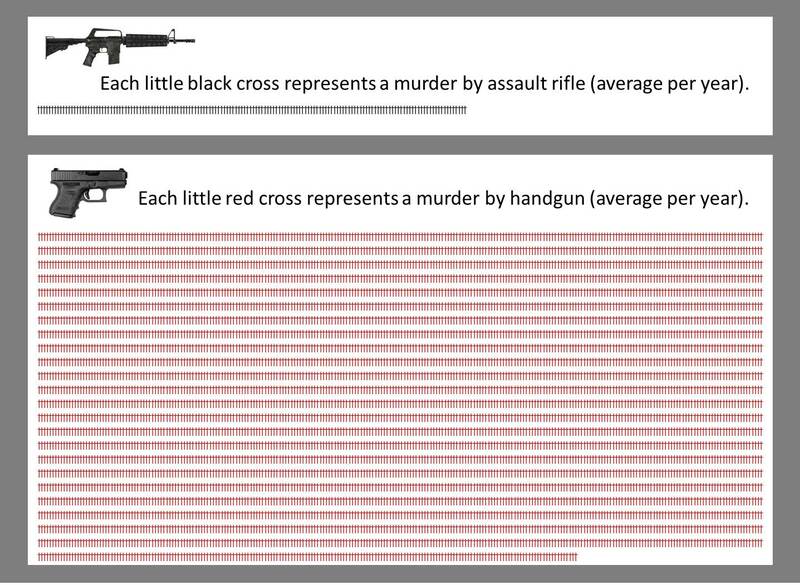 However, I will still argue that mainstream media and political focus on rifles and assault weapons is way off base. The long gun’s use as a killing weapon is insignificant compared to the hand gun. Unfortunately, mass murders are great money making events for the media and provide a good soapbox for politicians to show their face. 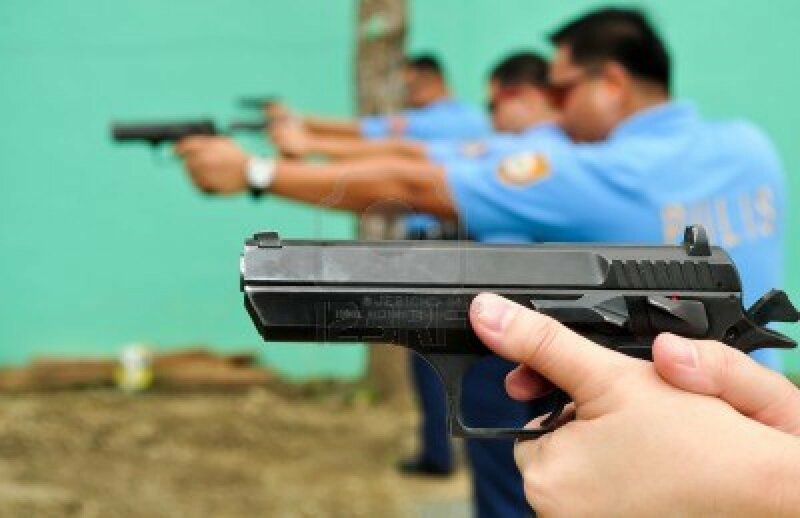 The real problem – hand gun murders that occur at a rate of one every hour, every day, 365 days a year – gets ignored. We can solve the real problem and maintain the integrity of the Constitution by leaving the legal status of long guns as is but outlawing hand guns. I know I write a lot about gun control, but it just seems so obvious and so solvable. Letters like the tragic one below need to become a thing of the past. Please read and take action (see last line). My son, Daniel, was a smart, quiet kid. He’d just become a straight-A student, and he was overcoming his shyness as a new member of the debate team. On April 20th, 1999, my beautiful and bright 15-year-old son was killed by two teenagers with guns in the library of Columbine High School — one of 12 innocent kids who lost their lives for no reason at all. It’s been 14 years since that horrible day — 14 years of fighting so no family has to grieve like ours did. These tragedies keep happening, and so far, Congress has failed to take common-sense action to stop them — even though nine in 10 Americans have agreed that expanding background checks would help close the loopholes that put guns in the hands of dangerous people and prevent future violence. Today, OFA and allied organizations are standing up for a national Day of Action to ask members of Congress: What will it take to finally act to prevent gun violence? I hope you’ll join in — say you’ll do one thing this week to show Congress you want action to prevent gun violence. 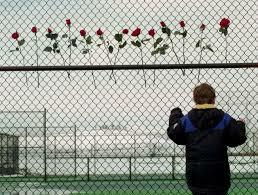 The evening of the shooting at Columbine High was the most hopeless I’ve ever felt. Since Daniel’s death, I’ve found a way to honor him: by trying to prevent other families from feeling this pain. I’ve advocated locally and nationally for smarter gun laws — even helping achieve a statewide ballot victory here in Colorado. In December, when I heard about the shooting in Newtown, I sat in my office and broke down. I was watching another community torn apart by guns — more parents grieving, more kids who would never see graduation, or a wedding, or a family of their own. And in the wake of another tragedy, nine in 10 Americans agreed that it was time to act — expand background checks to close the loopholes that put guns in the hands of dangerous people. But Congress disappointed us, putting politics above the safety of our kids. That’s why this week, we’re asking: How many parents will have to go through what I did before we say “enough”? Alon’s Introduction: I met Joshua P. Smith through the epic fantasy network. Joshua is the author of the upcoming Aelathia Chronicles. He is currently completing the first novel, Weaving and Musings of Essencers. You can follow him at www.aelathianovels.com and at https://twitter.com/AelathiaNovels or contact him at aelathiajpsmith@gmail.com. He wrote the following article last week. I had planed for it to follow my own 9/11 tribute. Reading Joshua’s post, I can’t help feeling the greatest way we can honor the heroes of 9/11 is to emulate their bravery and sense of honor, and apply it to our own lives. Thank you, Joshua. Heroes aren’t just found in books. We learned that lesson twelve years ago after terrorists struck the Twin Towers in New York, the Pentagon, and a field in Pennsylvania, hijacking airplanes to cause mass casualties and creating a day that none of us will ever forget. It was the heroes as well as the victims who stood out to us, like the emergency responders who rushed into crumbling towers to guide survivors out. Or the men and women on Flight 93 that realized the terrorist’s intent for their airplane, and fought back — a horrific sacrifice that saved untold lives and helped change the fate of America and other countries. Heroes. 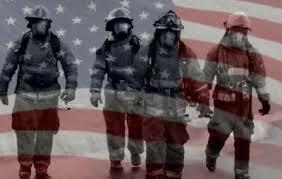 Every day we can see them, police officers, firemen, doctors and nurses, EMTS, our military men and women. 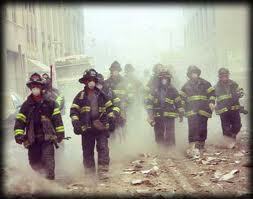 It seems in a time of tragedy that we really focus on the people who stand out, who sacrifice to make a difference. Why? I believe there’s something inherent in human nature that drives us to look for the remarkable, for people to be our role models. Heroes are people we long to emulate but sometimes are afraid to. Though we identify with the person “standing in the gap” to help those who cannot help themselves, we often throw up barriers to our ability to step up. We give excuses thinking that someone else will do the job, why should we step forward? Passivity can be worse than manacles connected to an iron ball at our feet. So, when we see someone doing something remarkable, out-of-the-ordinary, we cheer for them. We applaud and laud their work—because they broke a cycle of passivity, they remained cool under pressure, they sacrificed something so utterly dear to themselves that they earned the right to be heroes. What if more of us were to emulate them? What if we faced our fears, whether in the office or in church, in the factory or classroom as they face them on the field of action every day? What if we consistently decided to make not just the right decisions, but the good and just ones? What if we stood up to corruption, to evil, to injustice? 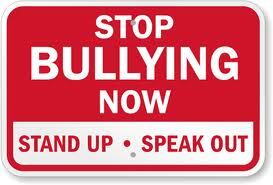 What if we deterred the bully? What if we helped someone in need? What if we sacrificed an hour or two of our time to help someone with a problem, or cook dinner for a sick neighbor? What if we learned to control our anger and seek peaceful resolutions to our familial strife, marital discord, and disagreements between friends? What if we decided to put others’ needs ahead of our own? Wouldn’t that make us, in some small way, a hero too? We don’t need the lights, the cameras. We don’t need a parade. Sometimes we’ll never know if what we did had lasting impact on those we helped, but we can only hope. We can hope in some small way that we were a hero, and that someone else may want to emulate something from us, some small piece of good, so they can become a hero too. Consider how the world would change if each one of us decided, that for the good of humanity, we decided to make the right decisions, the good decisions, the self-sacrificing decisions. The type of action or situation where risk is high, where obstacles are threatening, where victory isn’t wholly certain, and fear is great. If you’re in a situation like that, and it may be nothing like 9/11 or Iraq or Afghanistan, consider your options. Consider your decisions. The whole world may not be watching you, but someone is, even if it’s one single child. Today, I’m thinking about heroes. Let’s join their ranks. Alon Shalev is the author of the 2013 Eric Hoffer YA Book Award winner, At The Walls of Galbrieth, Wycaan Master Book 1 and The First Decree, both released by Tourmaline Books. 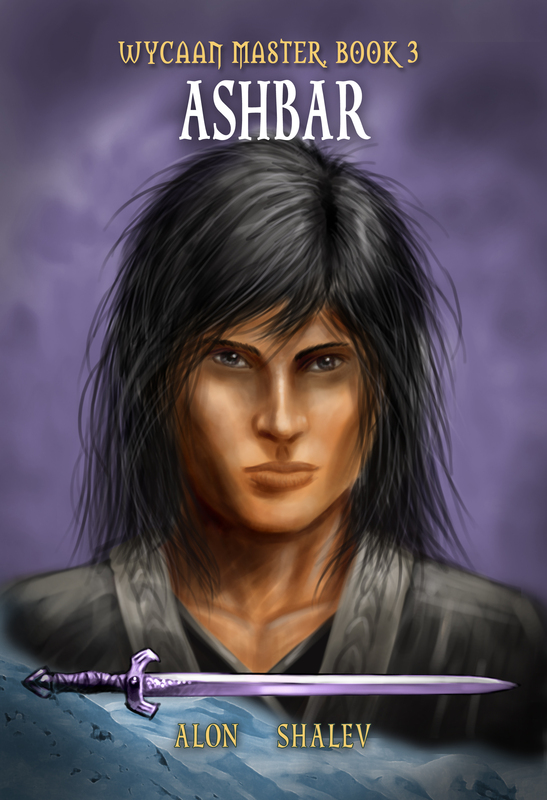 Ashbar – Book 3 – is due for release in October 2013. Shalev is also the author of three social justice-themed novels including Unwanted Heroes. He swears there is a connection. More athttp://www.alonshalev.com and onTwitter (@elfwriter). Today is Yom Kippur, possibly the holiest day in the Jewish calendar. But there is a clear message for all peoples. Over the 10 Days of Repentance (and sometimes for the whole month preceding), Jews close their eyes and blow the Shofar, the ram’s horn. The ram’s horn comes from the Biblical story – the Akedah – where Abraham almost sacrifices his son, Isaac, to show his utter faith in Gd. During this intense period of retrospection, Jews are commanded to judge themselves and their actions, to make amends to both their fellow humans and Gd, and to commit to leading a better life. The ram’s horn wakes us from our complacency and pushes us to step outside our comfort zone. This is a universal message. We are destroying the earth, using chemicals on fellow humans, allowing children to go to be hungry, women in fear for their safety, and people denied basic rights. Take a moment and listen to the shofar (ram’s horn) being blown around the world (from Africa in this case) and wake up! They say that time heals. It doesn’t. It simply numbs. Along with time, the killing of bin Laden, the winding down of the wars on Afghanistan and Iraq (at least from an American perspective), the rituals that we all recognize by now, there seems to be a certain nonchalance creeping in. But it is not, and will never, become just another memorial day: not for the thousands of people who lost someone dear to then, not to the 9/11 responders who ran into the fire to try to rescue the people trapped inside. As we remember those who died at the hands of people who would deny us our freedom and reaffirm our fight against terrorism, we need to ensure that we provide comfort and aid to those left behind. I doubt there is anything substantial that we can offer a spouse, parent or child who will miss their family member for the rest of their lives, but at a minimum, we must ensure that they do not lack financially for their loss. This is something concrete that we can offer. The terrible treatment of 9/11 responders who had to wait to receive the help they needed, is a shame on all of us, a national disgrace. I know that since last year, steps have been taken, but until every responder is receiving the help they need, physically, psychologically, and financially, we should not rest. It is no different from the war veterans who are waiting for their country to stand good on its promises. There was something very poignant in the togetherness that we all felt after the attack. In the smoldering ashes were the potential for a society to bind together. We did for a few days, but like the smoke, it dissipated. I mourn this as well. Once again, I will leave it to Bruce offer a fitting tribute. Time doesn’t heal. It only numbs. If you were a victim in any way, tell those around you. If you were not a victim, you still have role to play – to listen, to hug, to be there – for those who will relive that terrible day for the rest of their lives. I am writing in support of your armies of workers. The people entrusted with the preparation of people’s food should not be treated nor paid poorly. But that’s exactly what has been going on for decades. Ever since the first McDonald’s was erected, fast food workers have been on a downward spiral. I want to know that the preparers of my food have some sense of dignity. I want to know that they take some pride in their work and in making a good product. I want to know that they can afford health care and are not carrying some sickness into work because they can’t afford to take a day off. When I was 16 years old, I worked at McDonald’s for a few months. It was a lot like I imagine a “sweatshop” to be. The other workers and I were constantly pushed to work harder and faster, and for a tiny paycheck. And contrary to the beliefs of some people, we did not really “choose” this. We all needed money – that’s the cold reality. And there are always more workers than jobs, out there. In case anyone hasn’t noticed, it’s not easy to get a job. That’s the only reason anyone would ever “choose” to work fast food – out of necessity. The giant corporations that control fast food always ask if we want to pay more for our hamburgers. I would (and do, at better establishments) pay a little more for a sense of security in the quality of my food. And I certainly wouldn’t mind if there had to be some cuts in massive corporate profits, toward the same purpose. 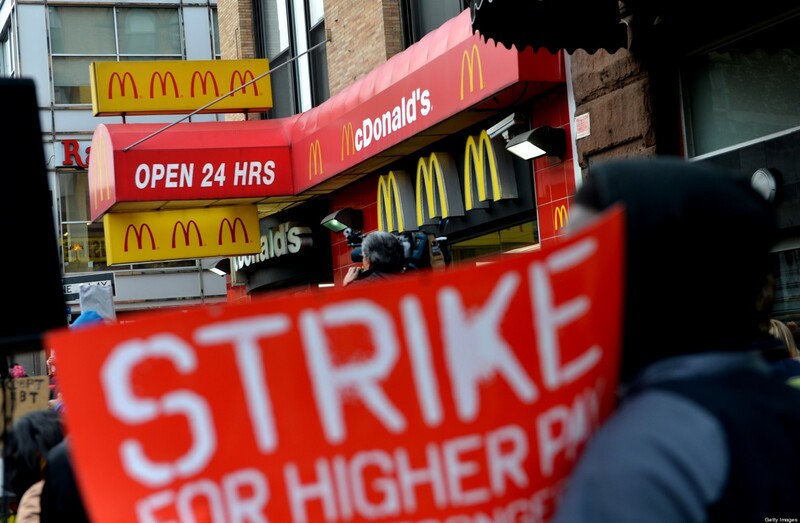 Fast food workers are human beings and Americans. 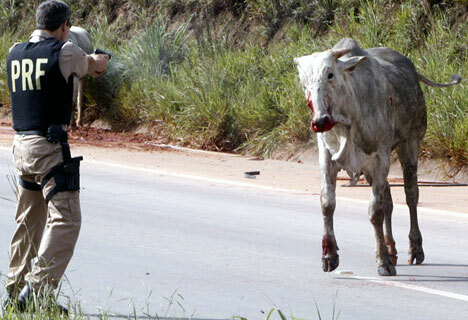 They don’t deserve to be driven like oxen for starvation wages. And the excuse that a fast food job isn’t meant to be a career doesn’t hold water (nor Coca Cola) either. If a stepping-stone job pays so little and exhausts workers terribly, it becomes a trap. How can a person get ahead or get an education when they can barely pay their rent? Education costs money. Families cost money. Food costs money. Transportation costs money. And fast food jobs leave workers choosing what bills to pay each month – leading them deeper and deeper into debt. That’s no way to get ahead. It all comes back to money. What I am asking of fast food corporations is that they prioritize human dignity and health over an extra dollar in profit. Here is my pledge: Until these corporations start to treat their employees like human beings, I will not patronize them. They will not persuade me with PR campaigns, telling me how happy are their employees, because I know the truth. I also know the truth about paying rent, and other expenses. 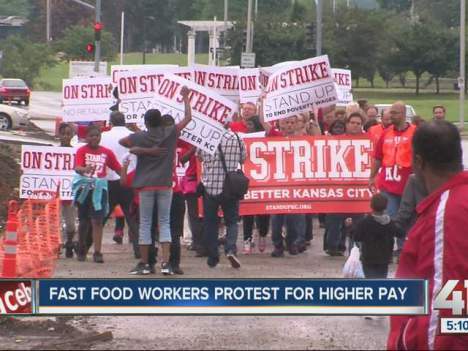 Having once been a fast food worker myself, I know for a fact that these are real people – not to be treated as inferiors… as if they were just not smart enough, or good enough, to have a better job. America’s greatness will continue to slip away as long as so many of us are treated like beasts of burden. Make a stand with me. Make America great again… for everyone.